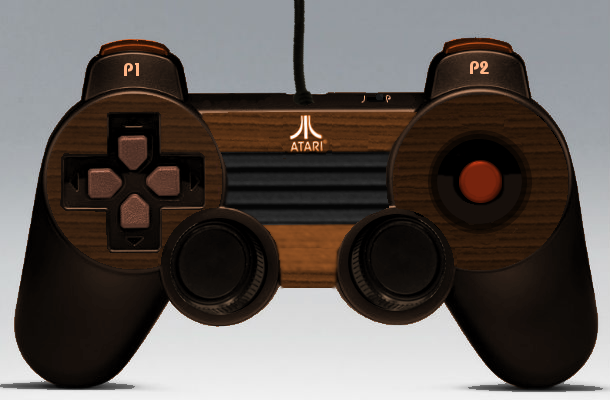 Good morning, Atari fans (or good afternoon, good evening, or good night, depending on when I get this posted)! 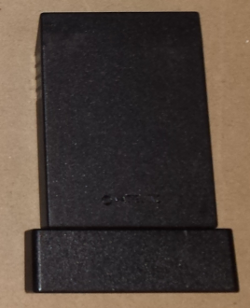 One of the great things about collecting for cartridge-based video game consoles, and especially for the Atari 2600, is that the cartridge designs were not completely standardized. With modern consoles, using disc-based games, there really isn't much room for design creativity or variation apart from the label artwork. The disc has to fit in the drive, has to spin correctly, can't interfere with the plethora of moving parts inside the machine, et cetera. 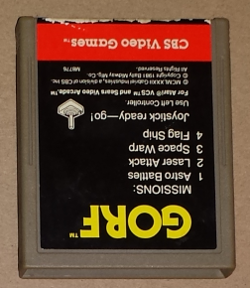 Because of this, it was possible for companies to add uniqueness to their games by giving them distinctive cartridge shapes. Note: Pictures will be oriented with label at the top, so the labels will be upside-down. This is about as basic as you can get, and that's not a bad thing. 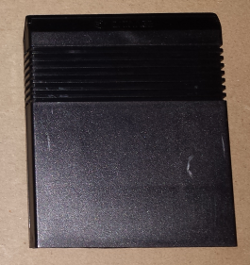 Game cartridges from Atari have a classic shape and, typically, excellent artwork **. The typography changed a bit over time (from all caps to mixed case titles on the end labels), but the design stayed consistent. The games have clear end labels, they stack/shelve neatly, and they're incredibly durable, especially because they usually had a protective cover over the open end to keep out dust. 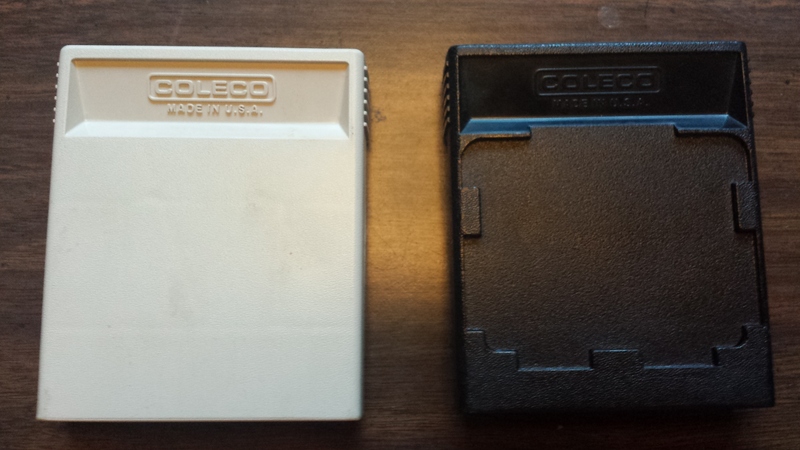 These are also pretty much the only cartridges that have end labels separate from the front labels. Most types have a wrap-around label, with front and end in one peace. 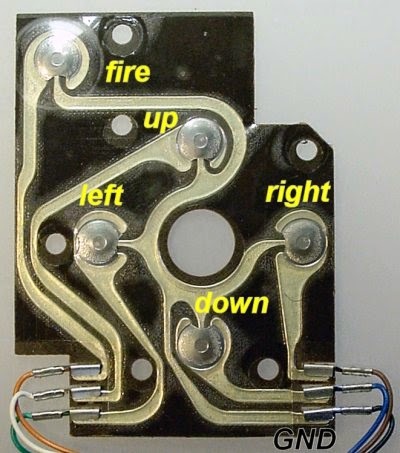 While I do like this feature, it means that these are the ones most commonly seen without end labels, since one can fall off without the other. 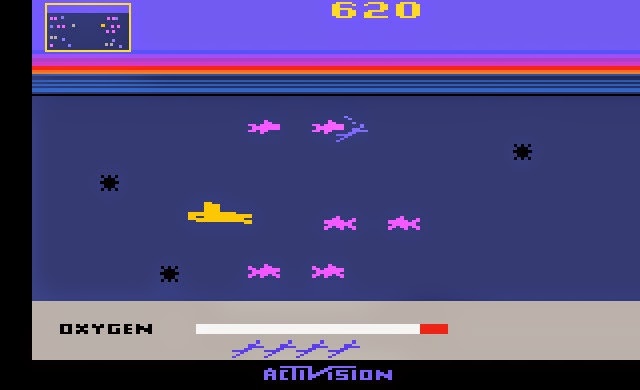 Activision was formed in October 1979 by a group of former Atari employees who wanted recognition (Atari's policy was not to credit programmers). 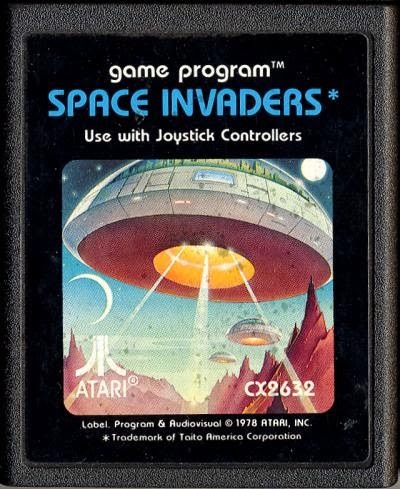 They won the right to produce games for the Atari Video Computer System (the 2600's original name) and opened the door for third-party developers to come. We all owe them a debt of gratitude. Discoloration splotches all over the label. This is known as "Activision Rot" or "Acti-rot" and is a side-effect of aging on the glue used to affix the labels. The last of these is really the only big downfall of these cartridges for collectors, because it means that you will really never see one of these amazing games in their original state. However, some (myself included) see it as a feature which gives the cartridges character, so long as it's not too egregious. 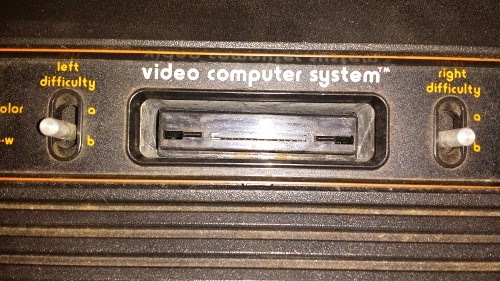 Of note is that Activision cartridges do not have the protective cover at the open end that Atari cartridges do, which makes them more susceptible to dust/dirt on the contacts. 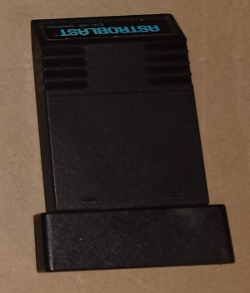 I'll also say that these are my second-favorite cartridges, largely because of the tabs/grooves that help to lock the cartridges together. This is just such a useful feature, and several other companies borrowed the idea. I also really like that they show right on the cartridge what the game looks like, so a bad game can't hide behind fancy cover art. 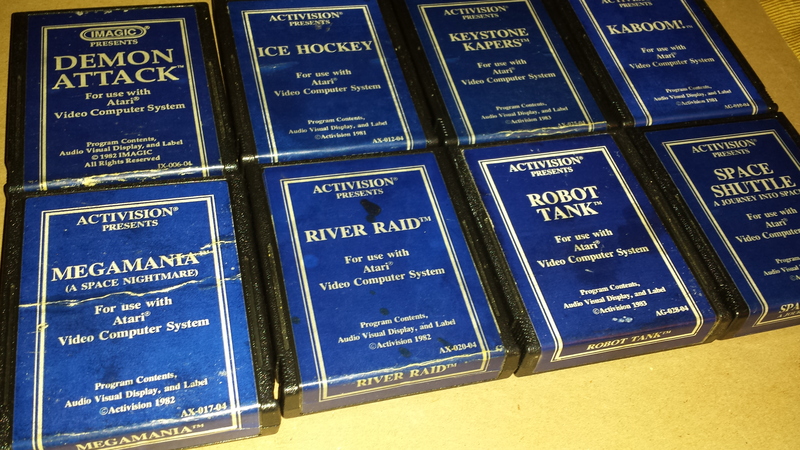 Quite apart from the cartridges, Activision games were unique in that their manuals came with messages directly from the programmers, which adds a personal touch that games these days, programmed by teams of thousands, just can't match. That's a topic for another day, though. 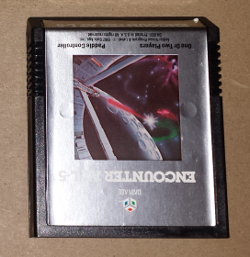 Let me just say that I love Imagic cartridges, except for how they fit on the shelf. The pull tab on top is very functional, if overkill, and I'm a sucker for anything shiny. However, that tab on top obscures the end label significantly when it is on the shelf. Combined with the tilt of the end label, this makes it difficult to read the labels quickly. Fortunately, I keep all my cartridges alphabetized. 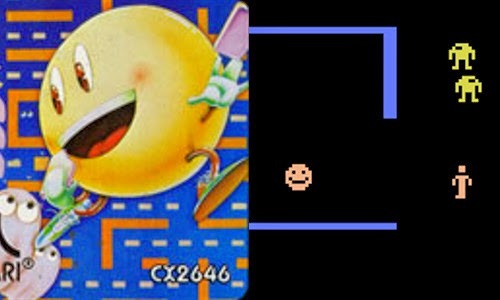 To be fair, Parker Brothers did more than just Frogger; they also produced the Star Wars games, Q*Bert, and others. But Frogger is the one that always comes to mind. 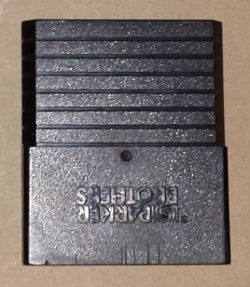 The label tapers toward the open end and is wrapped around the pointed end (which doesn't help visibility on the shelf), and most of the cartridge is bevelled and ridged for easy removal. And there's the large, friendly Parker Brothers logo on the back. The one thing I really don't like about these cartridges is that the label is very often loose around the pointy end. 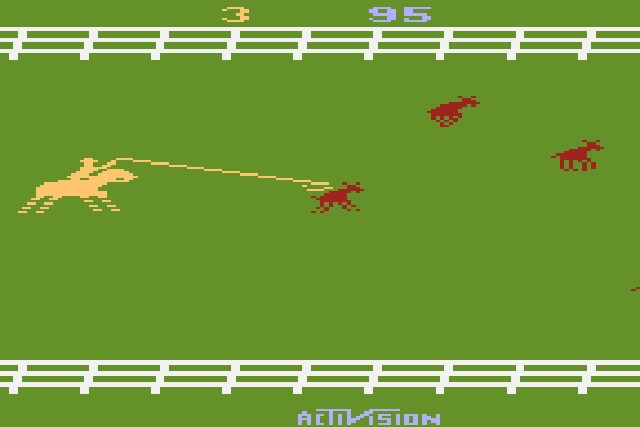 Although Coleco made games for their own system (which could also play Atari 2600 games), they also produced games for the Atari 2600 directly. 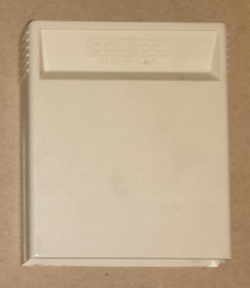 They are easily recognizable, as they are pretty much the only cartridges made out of white plastic.The indentation in the back is also fairly distinctive. 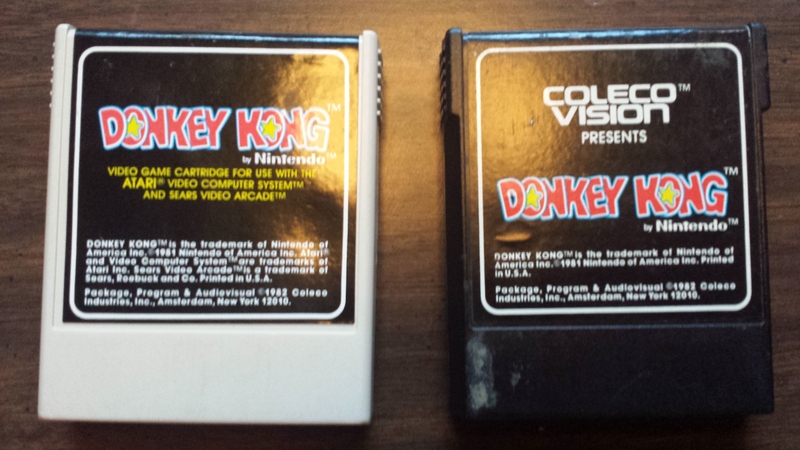 I think it's interesting that Donkey Kong up there is a game owned by Nintendo, but programmed/packaged by Coleco for an Atari console. 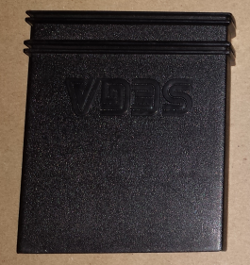 Important: Be sure, when you are purchasing these, that it has the phrase "Video game cartridge for use with the Atari® Video Computer System™ and Sears Video Arcade ™" on the cover, as the cartridges for ColecoVision can be nearly identical. 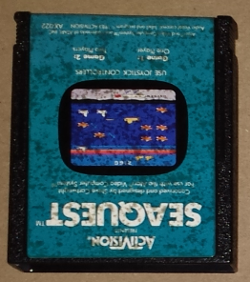 You can also check a recessed area in the back, which for ColecoVision games holds the controller overlay. 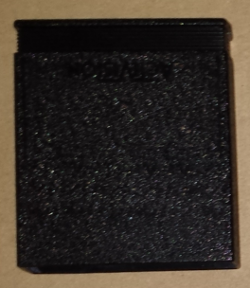 These cartridges are also usually very distinctive because of their color, which is nearly always a dark grey rather than the standard black. 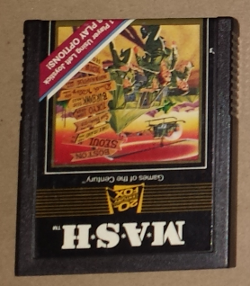 Other than that, the cartridge looks just like an Activision cartridge, although the grooves may not be compatible. The text is also distinctive, as well as the lack of cover art. But really, it's the grey factor. 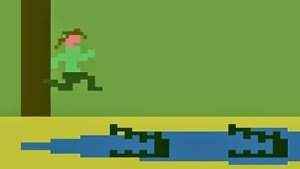 Back in the heyday of the Atari 2600, it seemed everyone was making games. 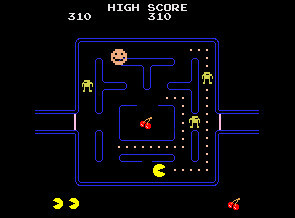 Even Twentieth Century Fox got into the racket with several movie tie-in games, all labelled "Games of the Century." 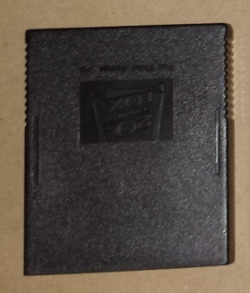 These cartridges also resemble Activision carts, although again the grooves are not compatible, and the ridged area is larger along the sides. 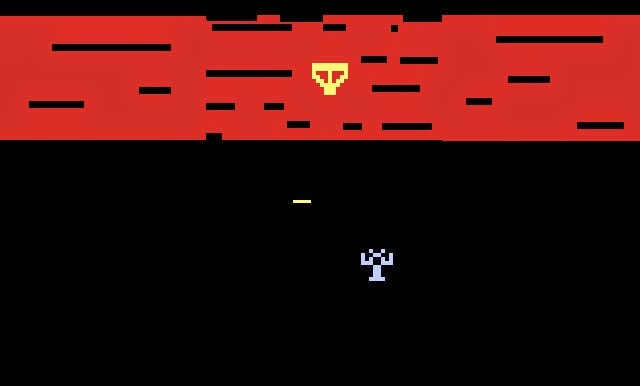 The astute will note that for the top screenshot I have used a different game, as the end label for M*A*S*H has an unusual end label where the title is squeezed into a corner. I kept M*A*S*H for the front and back, though, because it has the Fox logo on the back, while Alien does not. M Connection (Mattel) — "Those Weird Ones"
Awkward shape which provides no real advantage — it does not make it any easier to insert/remove from the system. Moreover, it makes it the sore thumb sticking out of any group of cartridges. Because the top is much thinner than the bottom, it completely ruins the stability of any stack, and won't even stack with others of its kind. 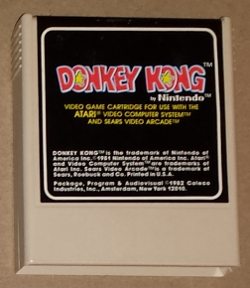 It also fits on shelves awkwardly, so that rows containing these cartridges are looser than others. No cover art. 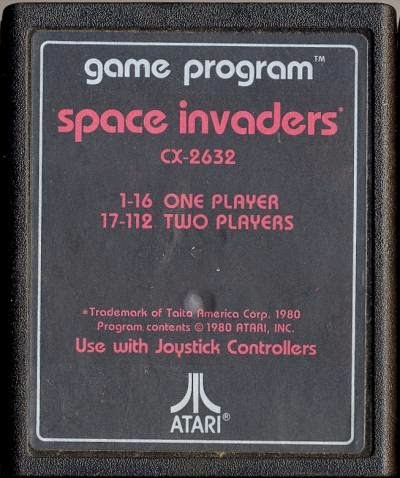 Even the most generic Atari cartridges at least had a front label that gave you the title; this gives you nothing and makes it just feel incredibly cheap. Angled end label. I don't like this on the Imagic carts, I don't like this on the Parker Bros. carts, and I really don't like it on these carts. 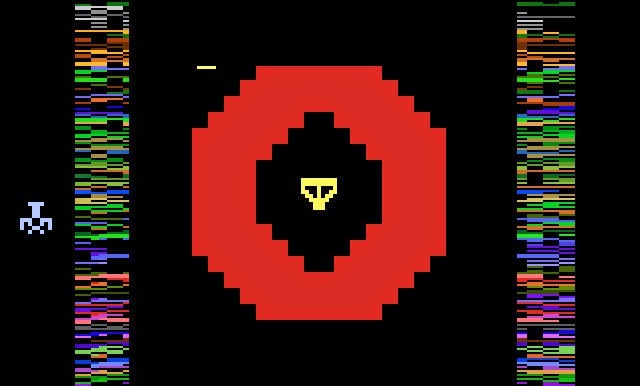 Don't be fooled by covers, though; some games in this shell can be pretty awesome, like Astroblast. Data Age — The "Also Shinies." 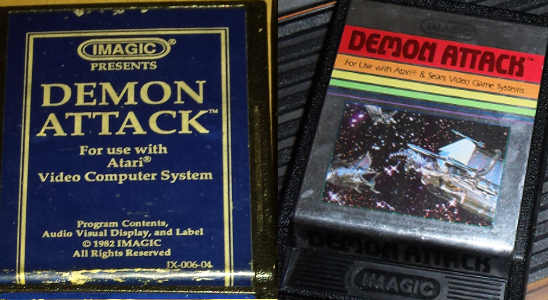 I think of these as lesser versions of the Imagic carts; they're also nice and shiny, but they don't have as flamboyant and oversized a cartridge. They're also hit-or-miss in terms of game quality. If you ever see a game called "Airlock," just run. Don't even pick it up. Also: angled end labels are still a no-no. 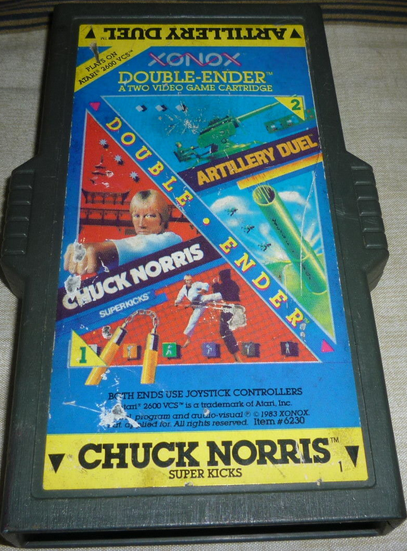 Years before the blue hedgehog stormed onto the Sega Genesis, and even before the Sega Master System, there were Atari 2600 games made by Sega. 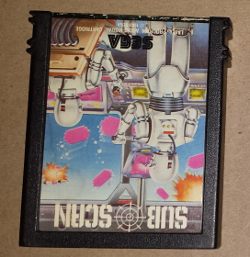 This is one of the only ones I've found, but it has such an interesting cartridge design that I just had to share it. 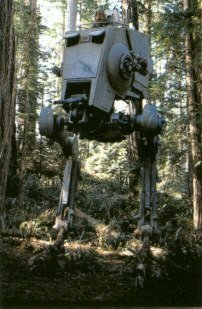 Just look at that thing...majestic. That's still not my favorite, though. 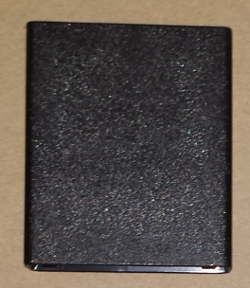 This right here is an example of my personal favorite style of Atari 2600 cartridge. 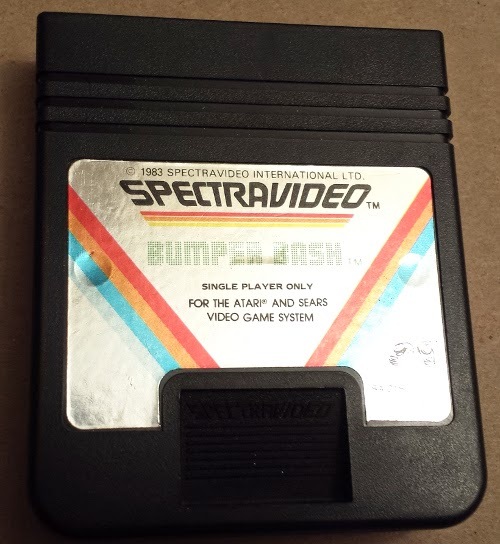 SpectraVision (also known as SpectraVideo) made quite a range of titles for the Video Computer System, including Cross Fire, Planet Patrol, Tapeworm, and this one, Bumper Bash. Thumb indentation on the front. This really does help the grip, and adds quite a bit of style. Sturdy, solid construction. 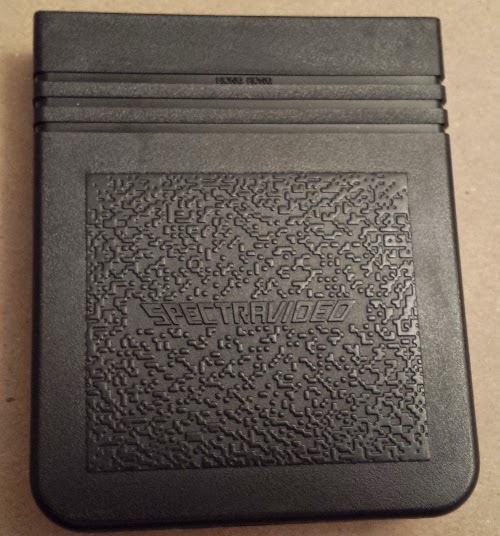 If you hold a SpectraVision cart in your hands, you'll immediately feel that it's different due to the weight. It just feels heftier and bulkier. Feels great. Grip texture on the back. 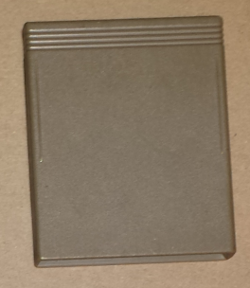 This goes far beyond the textured surface on the back of an Atari cartridge, and even has the wordmark embedded in the pattern. Separate end label. 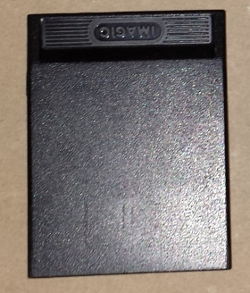 I mentioned before that I like it when cartridges have end labels that aren't just one piece with the front label. This one is even recessed a bit. Shiny. I like shiny. Even if it doesn't show up as well when you use camera flash. Protective cover at the open end, which helps keep out dust/dirt. Always a good idea. 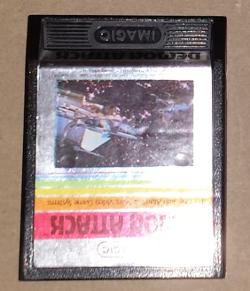 Overall, there's just so much to love about cartridges from SpectraVision/SpectraVideo. 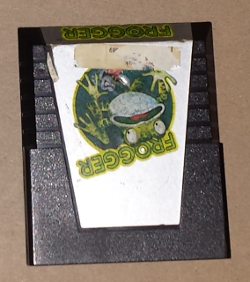 Even though not all their games are the best, you have to hand it to their cartridge design. So awesome. So there you go. 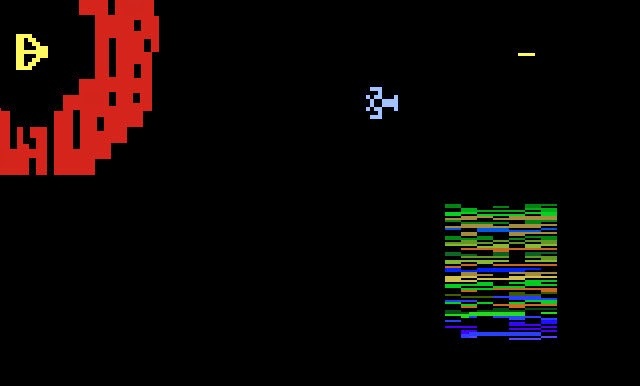 Hopefully this has been entertaining, informative, and useful to you as you pursue an ever-expanding Atari collection. 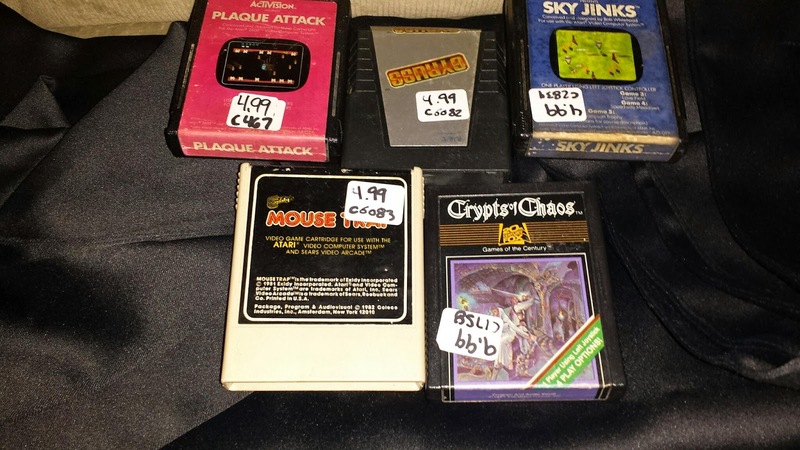 I may have missed one or two types (in fact, I know I've missed one, and will address it in a later post), but this should give you a general idea of the incredible variety to be found when collecting for the Atari 2600. * I'm simplifying a bit. If you want a bit more information about specifics for some different consoles, see this handy guide done by an eBay user. ** Although later on a lot of cartridges were produced with plain text labels. 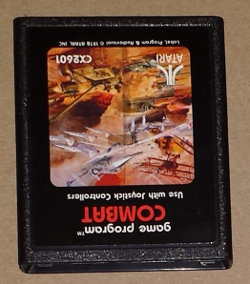 I'm sure everyone has a Combat or Space Invaders cartridge with a text label. -- Correction! The text labels came first.